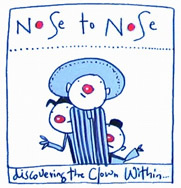 Through the clown we can rediscover inner qualities of openness, spontaneity and play. The clown allows our imagination to soar, whilst keeping our feet firmly on the ground. Working with warm-ups, games and on the empty stage, we will find our inner clowns through improvisation, play and welcoming everything that emerges.